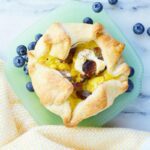 This Sausage and Ricotta Soufflé is a special and delicious breakfast made with eggs, sausage and ricotta all wrapped up in a flaky puff pastry shell. 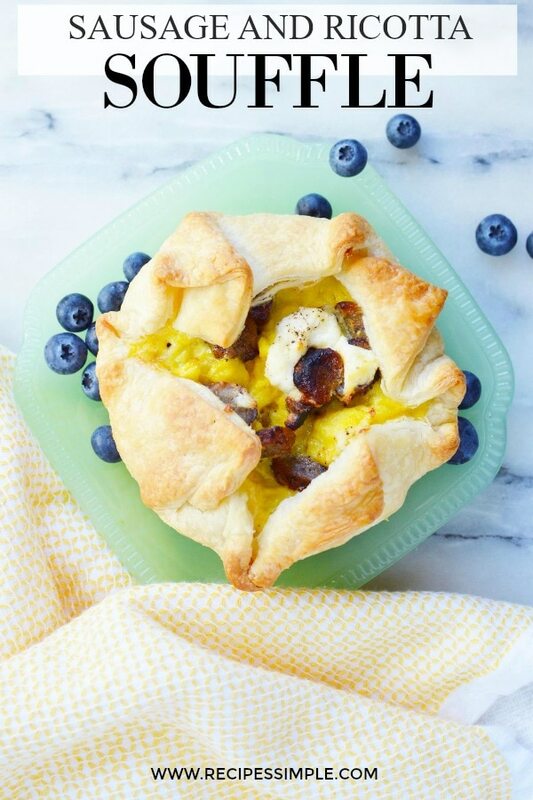 Treat your family to a special breakfast they will love with these mini Sausage and Ricotta Puff Pastry Soufflés. Scroll down for printable recipe. 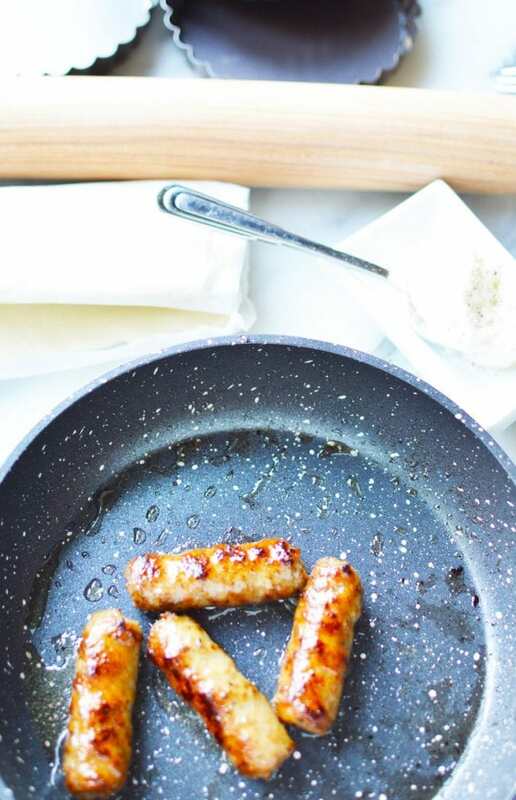 Start by browning your sausage links. Then whisk together the eggs and liquid until smooth then mix in the sausage and lightly cook them until they resemble really wet scrambled eggs. 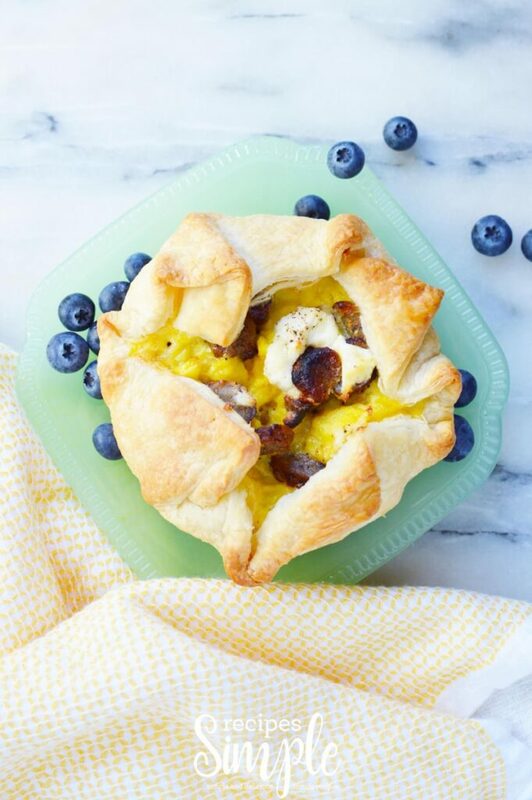 Line mini tart pans with puff pastry dough. Spoon in a little ricotta into the bottom of each tart pan. Divide the egg and sausage mixture and transfer to the pastry and ricotta lined pans. Then top with a little more ricotta, salt and pepper. Fold the pastry dough over the tops and then bake for about 28 minutes or until golden brown. Let them cool for a few minutes before removing the soufflés from the pans. 1 refrigerated puff pastry dough sheet, cut into four equal pieces that will fit your mini tart pans. Spray each pan with nonstick spray and then carefully line with the pastry dough. Whisk together the eggs and liquid until smooth then mix in the sausage and lightly cook them until they resemble really wet scrambled eggs. 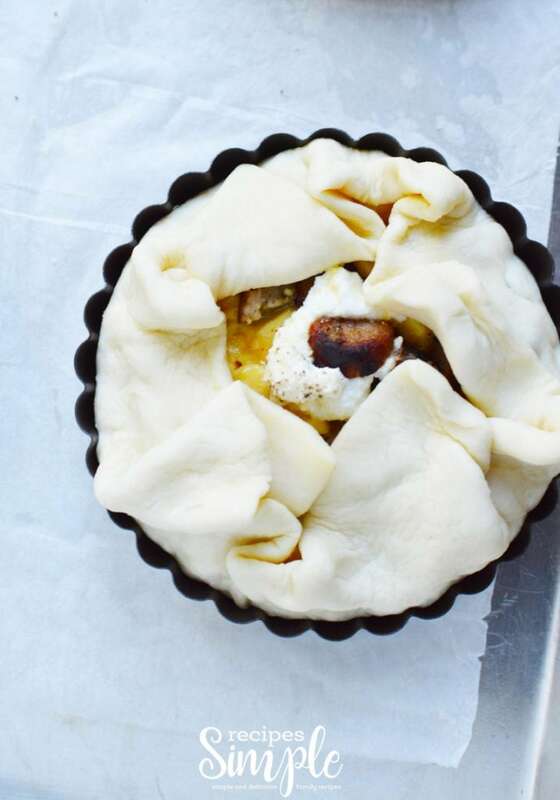 Line mini tart pans with puff pastry dough. Spoon in a little ricotta into the bottom of each tart pan. 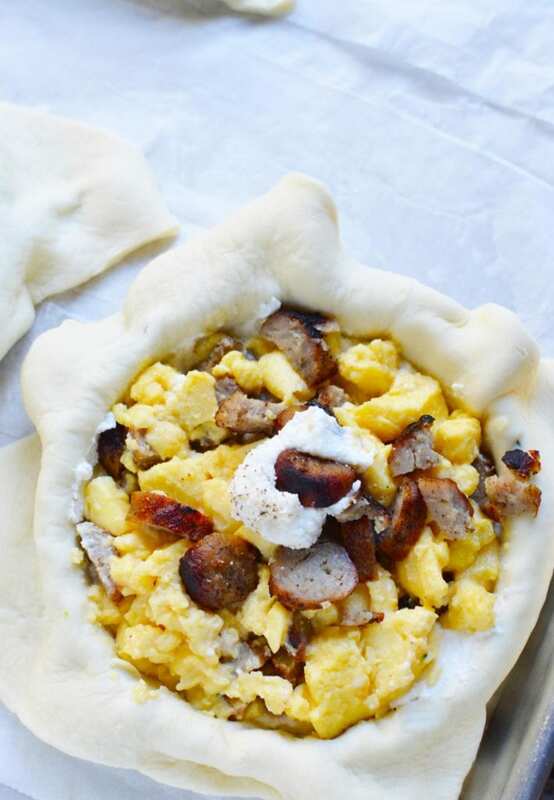 Divide the egg and sausage mixture and transfer to the pastry and ricotta lined pans. Finally top with a little more ricotta, salt and pepper. 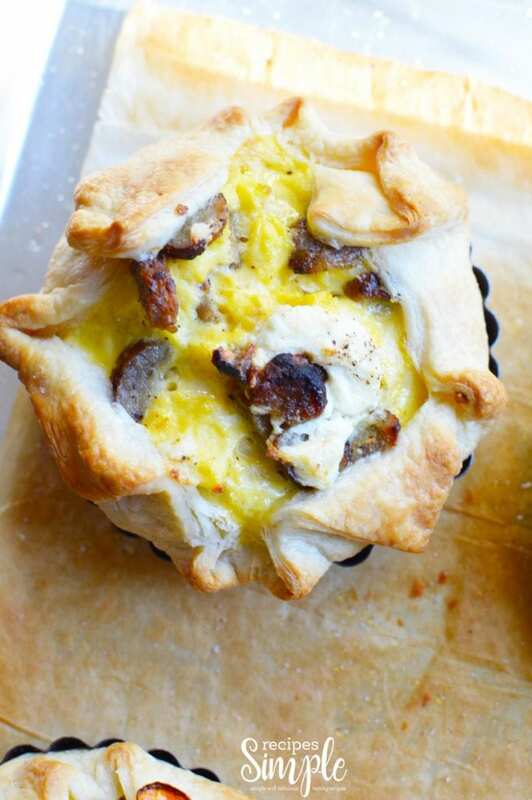 Hope you enjoy this Sausage And Ricotta Soufflé. Don’t forget to PIN IT for later!